We achieve the highest quality by carefully choosing the finest ingredients. 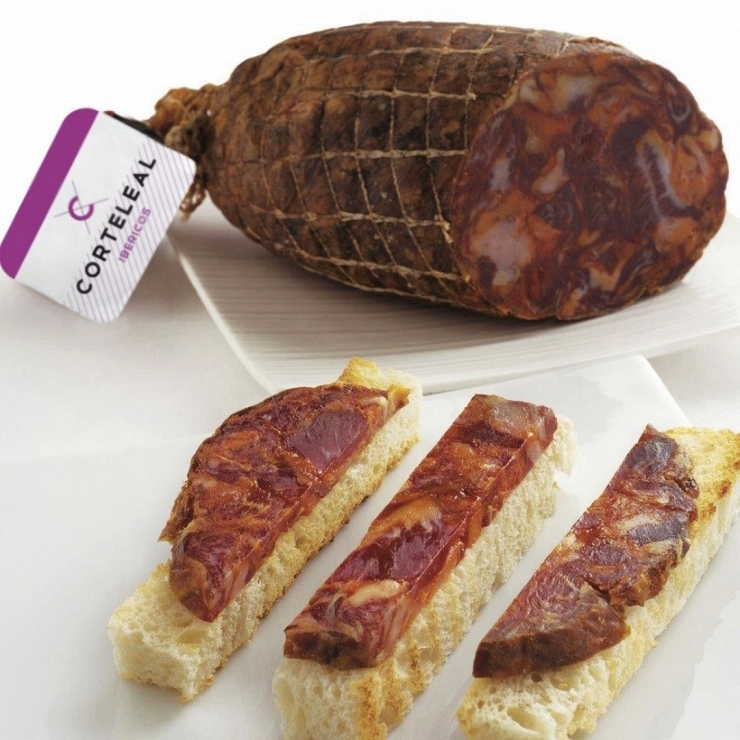 CORTELEAL is committed to the highest quality standards of production. We achieve the highest quality by carefully choosing the finest ingredients and monitoring each production stage. We personally source our free-range Acorn-fed Iberian Pigs and Acorn-fed 100 % Iberian Pigs from the richest woodland areas, so ensuring they have fed on abundant acorns and pastures. 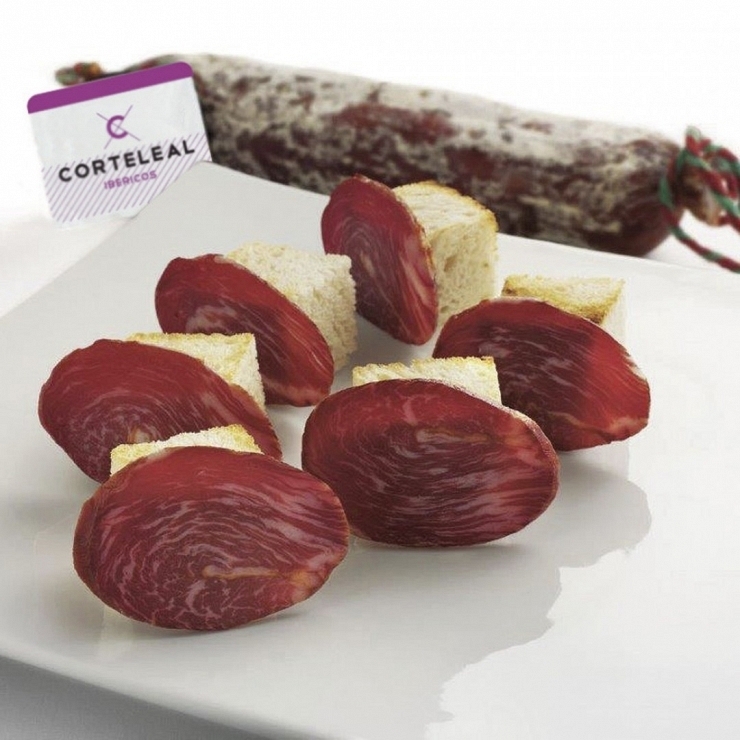 CORTELEAL, a fourth-generation family business, is one of the most experienced and prestigious companies in the industry. 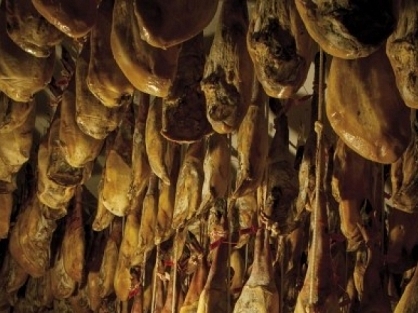 After a brief and carefully controlled salting process, Iberian Corteleal hams are subjected to a natural drying process whereby fats blend as temperature increases. 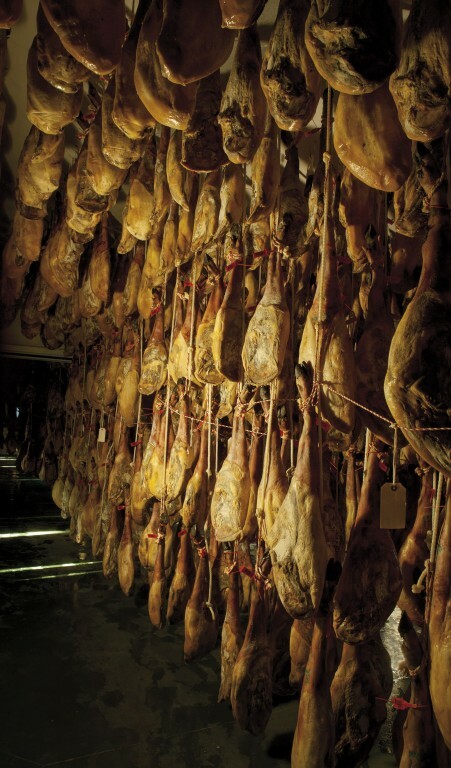 Afterwards, hams mature slowly in cellars. 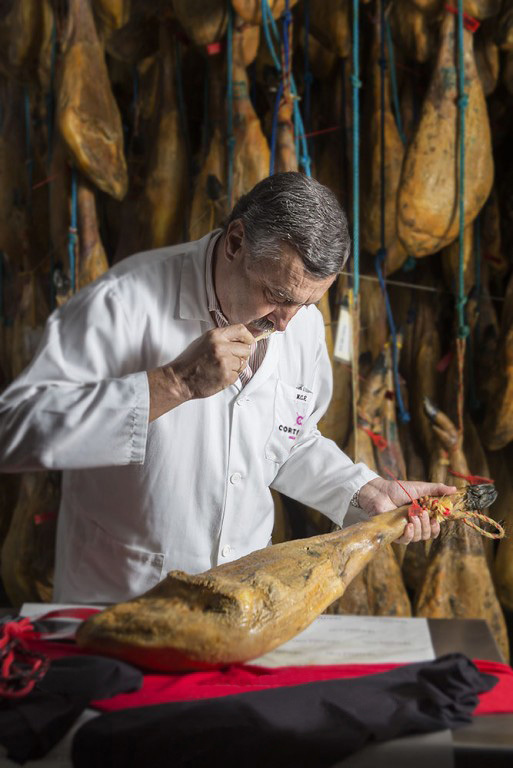 The ageing process is a very precise and long one, (between 32 months and up to 48 months for bellota hams, and a minimum of 24 months and up to 36 months, for Iberian Cebo de Campo and Iberian Cebo hams). Varieties: Bellota (Acorn-fed), Cebo de Campo (Countryside Fodder-fed) and Cebo (Fodder-fed). Formats: Bone in, Boneless, Sliced by hand and Pre-sliced (sliced by machine). 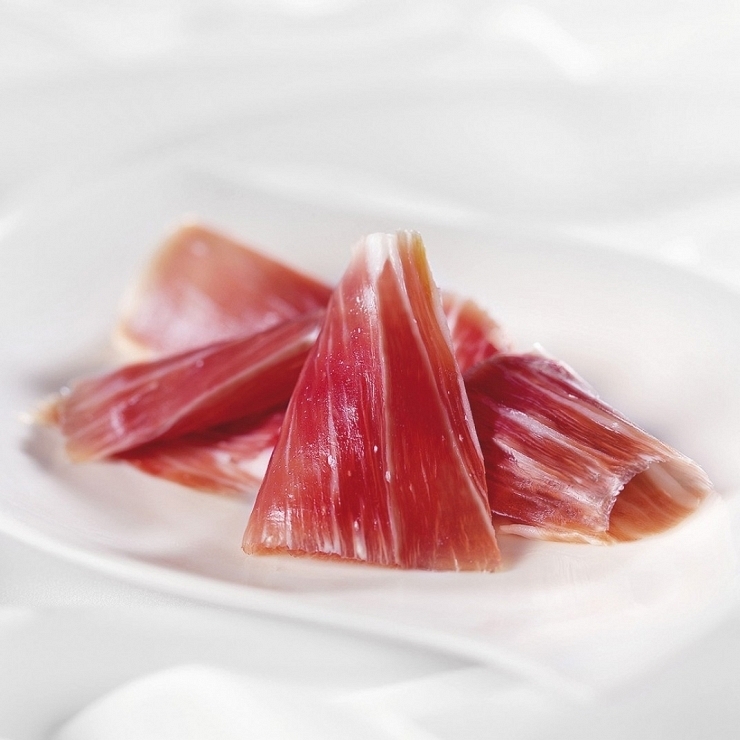 The so-called “paleta” or “shoulder” is the pig’s foreleg, hence its smaller size as compared to rear-legs hams. 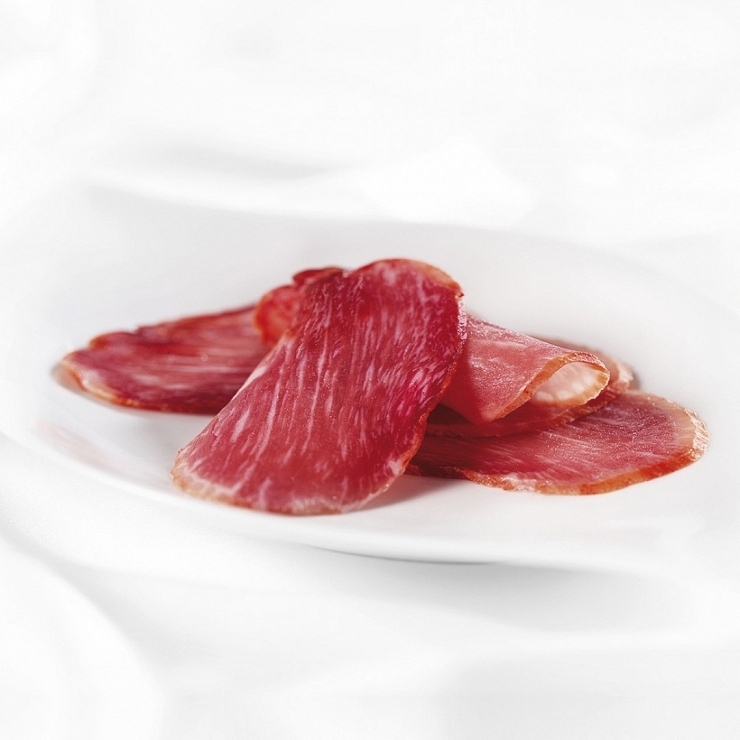 A shorter salting process compared to hams, its maturing time varies from 18 to 24 months. It is highly appreciated for the most discerning palates for its deep aroma, and sweet and juicy taste. Varieties: Bellota (Acorn-fed), Cebo de Campo (Countryside Fodder-fed) and Cebo (Fodder-fed). Formats: Bone in, Boneless, and Pre-sliced (sliced by machine). A real prime cut. The whole loin, after taking away the adhering fat, is seasoned with sea salt, paprika from Protected Geographical Indication Pimentón de la Vera, oregano and garlic. 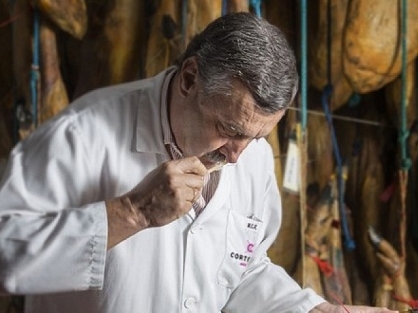 It is then stuffed into natural or artificial hand-tied tripe and left to mature in cellars forat least 70 days. Varieties: Bellota (Acorn-fed), Cebo de Campo (Countryside Fodder-fed) and Cebo (Fodder-fed). 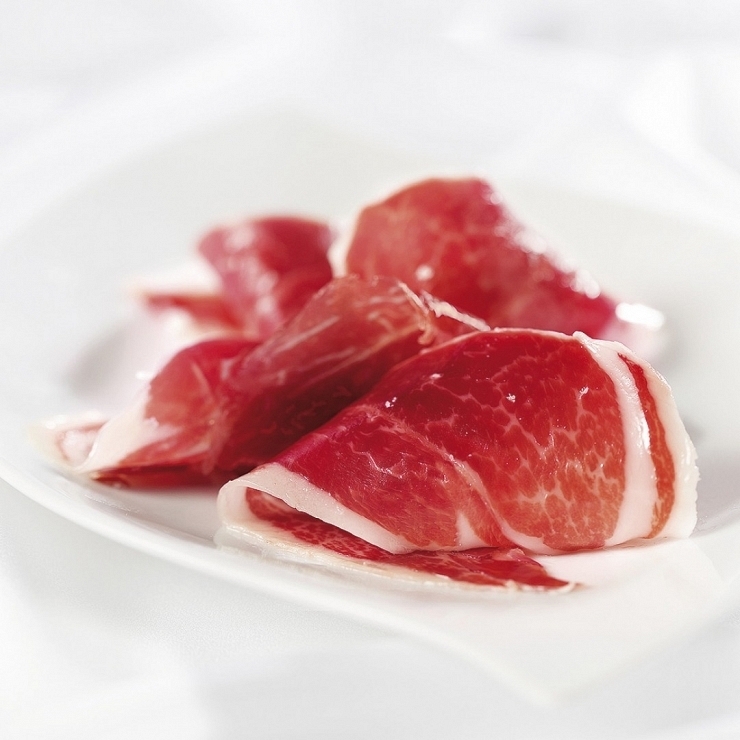 Formats: In tins (for the Iberian bellota Gran Reserva range), whole and half pieces and sliced. 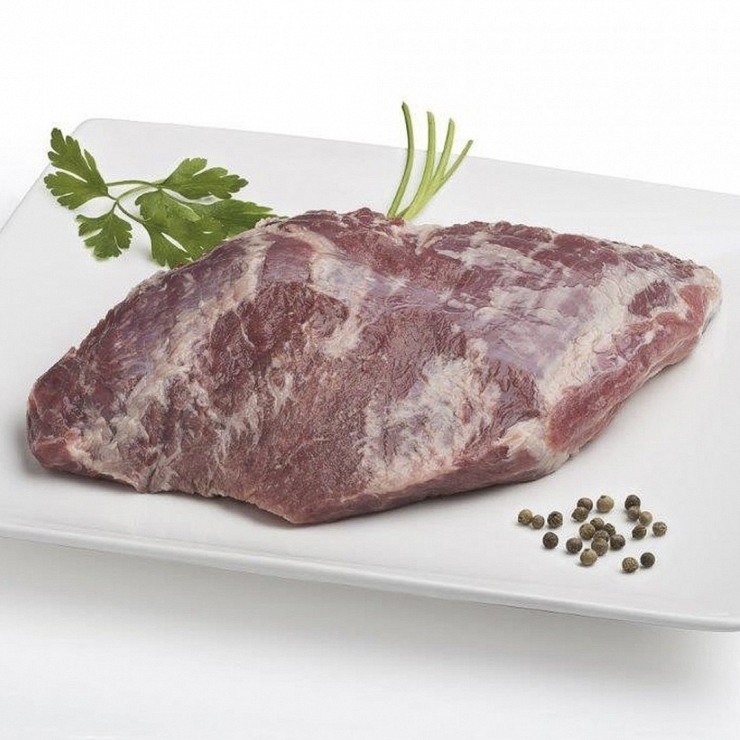 Smaller that a full loin, it is made with the Iberian bellota “presa”, one of the Iberian pig’s priciest cuts. 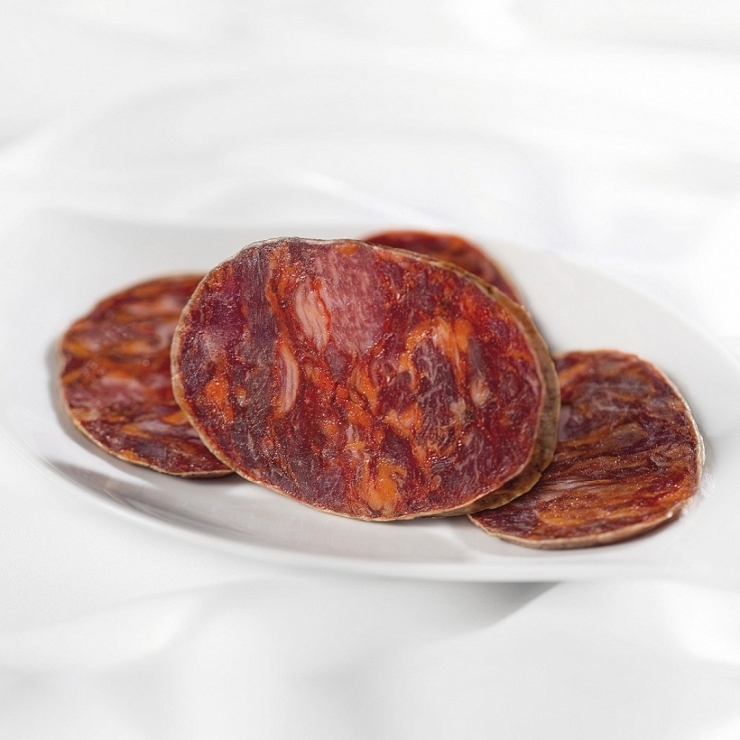 Seasoned with sea salt, paprika from Protected Geographical Indication Pimentón de la Vera, oregano and garlic. A very tasty and juicy delicacy for the palate. Presentación: Vacuuum packed. 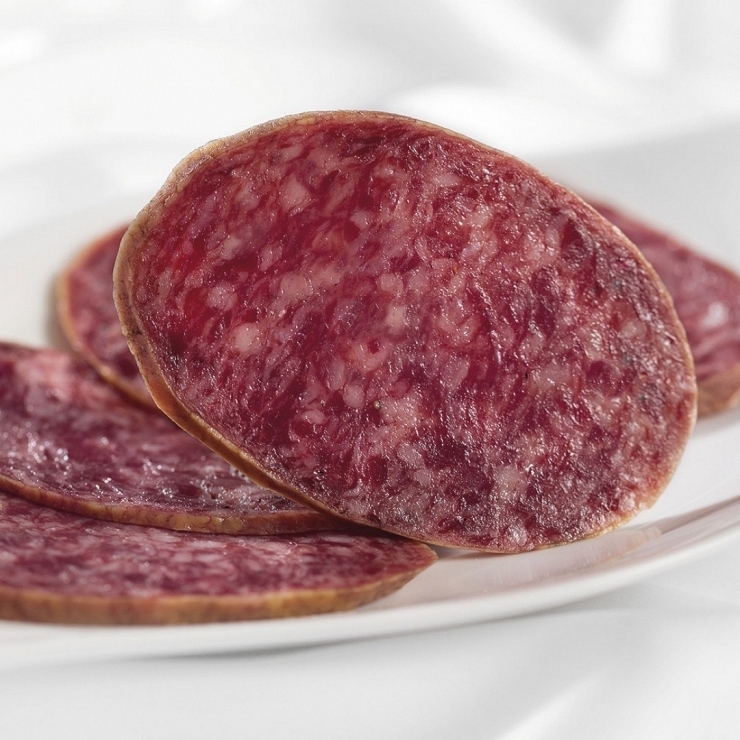 Traditional Spanish sausages, artisanal products made with the best meat cuts and seasoned with natural ingredients. 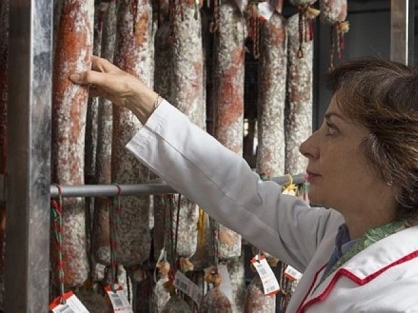 Stuffed into natural tripes and left to mature in cellars for a period ranging from 4 to 5 months. Varieties: Bellota (Acorn-fed) and Cebo (Fodder-fed). Formats: whole pieces, half pieces and pre-sliced. 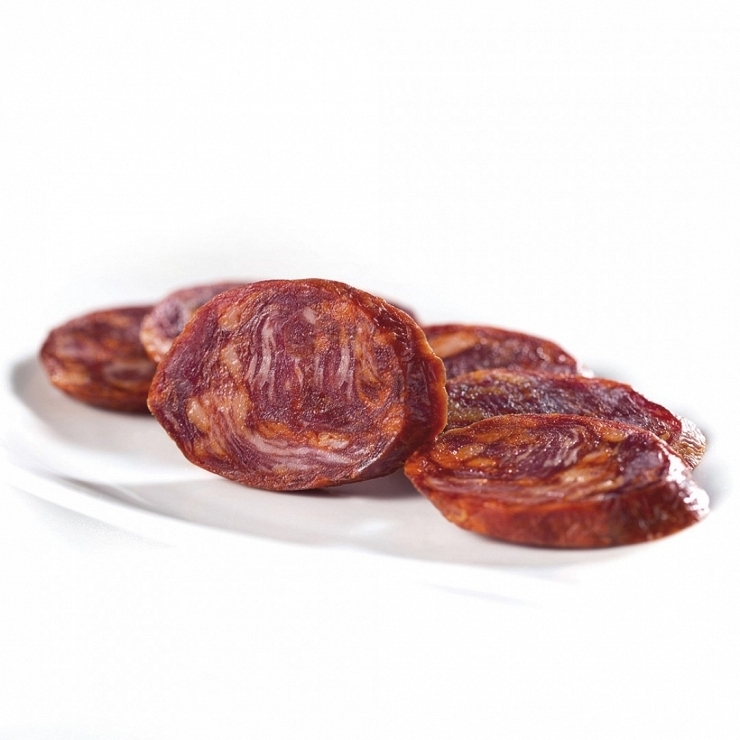 Traditional Spanish sausage, shorter and thicker than a normal “chorizo”. This “bellota” variety is made with quality cuts from free-range, acorn-fed pigs, seasoned and stuffed into an extra thick natural tripe and left to mature in cellars for a period ranging from 5 to 6 months. Presentación: Vacuuum packed. Prepared with the same meat cuts and seasoned as the chorizo and salchichon, but stuffed into thinner casings. Straight-shaped ones are called “longaniza vela” and U-shaped ones “longaniza Sarta”. The maturing process takes at least 30 days in natural cellas. Presentation: Vacuum packed.